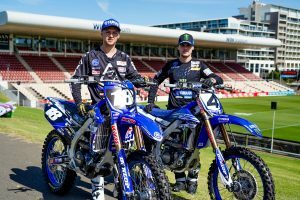 Re-injured collarbone sidelines Queenslander ahead of 250SX East. 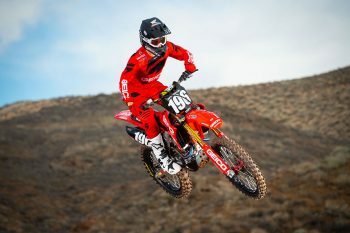 Geico Honda’s Hunter Lawrence has confirmed he will miss this weekend’s opening round of the 2019 Monster Energy AMA Supercross 250SX East series after sustaining a collarbone injury. Lawrence was due to line-up for the first time in the US on Saturday at Minneapolis, Minnesota, however will now have his supercross debut delayed. “Absolutely heartbroken to say the least guys,” Lawrence confirmed via a social media post this morning. “I wont be lining up at round one this weekend. 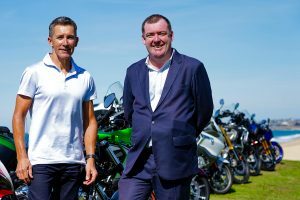 “Some of you know a few months back I had a collarbone injury that I have now re-injured and it isn’t in a condition where I am able to plate it – a misfortunate crash and part of the sport. Will do everything I can like always to get back to 100 percent. 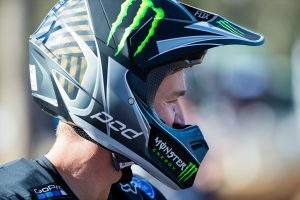 Lawrence had been easing his way into supercross throughout the off-season in Southern California when the injury occurred, however it’s unclear when he may be fit enough to return later in the season.